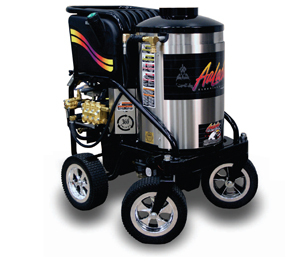 AaLadin prides itself in every aspect of the product and the paint finish is second to none. AaLadin processes all painted surfaces with a phosphatising process that assures a clean, etched surface for exceptional paint adherence. The paint process utilizes a high quality hybrid polyester powder coat paint that creates an eggshell like coating that is flexible yet durable. The result of using this hybrid paint yields a high gloss automotive like finish for years of service while not losing its luster.